Jessica and Bodie’s beautiful wedding on Friday May 18th at Overnewton Castle. A stunning place to film and the staff at Overnewton Castle Keilor were great to work with. Veronika and Suleyman married at Melbourne Town hall, an epic venue! Their reception followed, full of dancing and laughter at the River Room Crown Casino. Alicia and Leighroy beautiful wedding took place at Ballara Receptions Eltham. It was a great wedding for Raeza and Phil. By the time we got to taking photos, Raeza had let her hair out and was ready to party. An amazing celebration, happy and full of life!!! Corey brings years of wedding videography experience to your precious day with a calming, relaxed, unobtrusive, efficient approach. Multiple high quality cameras are set up at the best angles for certain parts of the day like the ceremony and speeches. When we need to move fast, to get you to your party, you can expect one hand held DSLR attached to a top of the line gimbal, to ensure steady silky smooth imagery. All fixed cameras are supported by high quality tripods. Of course, we offer drone recording, weather permitting. Our Maverick records incredible 4K footage but if your location has flight restrictions, we have a smaller, lighter drone that can be flown in practically any air space in still conditions. The secret to our crisp and clean audio is where possible taking a direct feed from your sound system. During the ceremony, our groom is subtly mic’d up with a small lapel mic so we don’t miss your precious exchange of vows. On camera mics are also running as back up. Included is a full length coverage of your ceremony and speeches along with highlight coverage of dancing, photo shoots and other special parts of the day and a high quality highlights video (1-10 min depending on your package) with your choice of music. 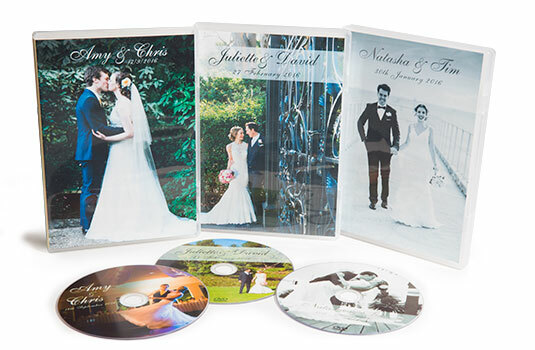 Your choice of DVD, Blu-Ray or USB, so you can share your wedding in all its glory for generations to come. Your footage is edited using the latest software. To make sure you are happy with the end result, we provide you with a preview video for you to review before the final copy. Our Unforgettable package means we are with you all the way through your special day. Seeing what you see and capturing your wedding day from angles you can’t see. After the first week you will receive a 1 min highlight of the day to share with friends and family and loved ones abroad. You will receive in your package: 10 copies of the DVD and a USB of all the events. The DVD will have an 8-12 minute highlight video of the days events and the rest of the footage as it happened from Ceremony to Final Farewell. Videography starts at $1500 for 5 hours. Choose the hours that suit your needs and the products you. Working with multiple cameras and audio equipment (through certain parts of the day such as ceremony and speeches). Get in touch for our full A La Carte menu. A La Carte menu includes option to add second videographer and highlight reels. So if you’re looking for peace of mind for your wedding video contact us to find out our availability for your special day.